Congratulations, you are now officially entered into the 2014 Thames Path 100. This is a tough event both mentally and physically and as organisers we will do all we can to assist in you making the finish line. We would be delighted to help you with training and preparation. Requests or queries of any nature can be sent toinfo@centurionrunning.com and we will come back to you as soon as possible. For information on other 50 & 100 mile races in the Centurion series please go to www.centurionrunning.com. Follow us also on Facebook, twitter and through our blog. We wish you the best of luck with all of your training and racing. I'm number 30. Seems there were lots of other people who were also poised and ready to go dead on 10am! I posted on Facebook and Twitter, and was astonished to not only find how many friends have also signed up for next May's race, but also the level of support. 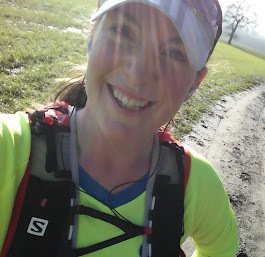 I've had offers for crew support and pacers - I'm really touched by that, and am very grateful as the only way I'll be able to get through the distance is with help! But that's something to think about nearer the time...for now, I have to get my ankle better and then start following the training plan that I've created that will hopefully get me fit enough to get through this mammoth, epic distance. I'm in no doubt as to how difficult it'll be to finish...to get through those last 50 miles and get a Finishers buckle (never mind a One Day buckle like's in the picture)...but I'm going to give it a damn good go. I look forward to running (or crawling ) with you at TP100. I really cant wait.